“Fermented foods are so trendy right now” I keep hearing folks say. It always surprises me to hear it, as they never really “went away” and had to make a comeback – naturally fermented foods are just about natures oldest foods. We only lost them briefly in our transition to convenience foods, but they're on their way back in - and many people are making their own now, either for health reasons or their grandparents showed them and they continued the tradition. 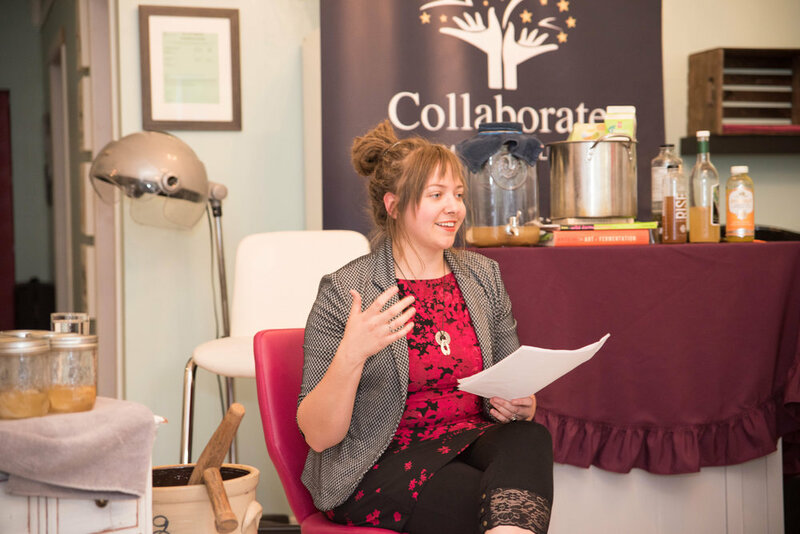 There is a bit of education needed because saying fermented foods are making a comeback - well - says a lot of people don't understand what fermentation means and that fermented foods like wine, chocolate and beer have been around for a very, very long time. I’d say the “lesser known” ones like kombucha, sauerkraut or kefir that are being resurrected are the ones that are surprising people. But in alternative health circles, these have been common since the 60s/70s. Natural foods aren't a trend - we've always had them. They are simply coming into the spotlight because we are focusing so much on our health now through the gut and our nutrition - and we are starting to make more connections to what we eat and how we feel. There is science finally backing up what natural health advocates have promoted for a loooong time - that our gut bacteria needs fed and controls a lot of our overall health. Thankfully, naturally fermented foods are already quite popular in the natural health world and are finally moving into the mainstream spotlight as a strange but exalted foodie-culture delicacy. But even more than that, fermented foods are very important in our diet. On top of eating real foods, adding fermented foods into our diet can do a world of good. 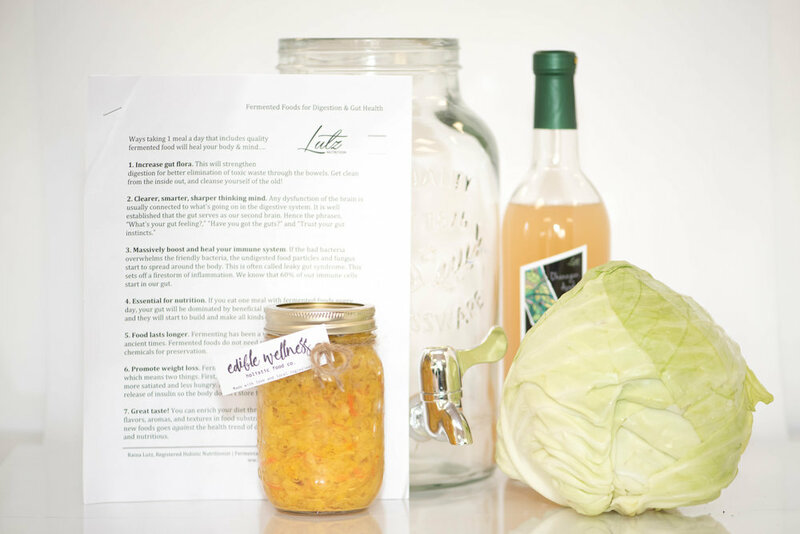 Make sure your fermented foods are unpasteurized. Cabbage in vinegar doesn’t give you health benefits like naturally fermented cabbage does. This is not an exhaustive list. This is. Foods like sauerkraut, kvass, wine, soured grain porridge and breads would sustain tribes during cold winters when fresh food just wasn’t available. What did we do before refrigerators and grocery stores? Our great grandmothers would prepare fermented foods in the late summer and fall to be stored and preserved in the root cellar to feed the family during the season when harvests were not abundant. Little did they know (or did they?) that the bacteria and probiotics that were created during the natural fermentation process was keeping their immune systems up by inundating their intestinal tract and keeping bad bacteria at bay. We need more LIVING foods! In a “Standard North American Diet” we subsist on too many over processed foods and packaged convenience foods. Living foods offer our bodies’ micro-nutrients and so much more! In a nutshell, people are freaky about fermented foods because they aid in digestion, strengthen your immune system and help you maintain a healthy population of micro-flora in your intestines. We now know that the gut literally serves as the second brain in that it produces more serotonin (a beneficial mood influencing neurotransmitter) than your brain. Our intestinal tracts are home to countless bacteria, both good and bad. The goal is to find strategies to optimize that bacteria population so that we can live a beneficial, symbiotic relationship where we feed them and they nourish and protect us. We also now know that there is a profound, dynamic interaction between your gut, your brain and your immune system, starting from birth. Many of our regular habits can affect our gut bacteria such as a course (or more!) of antibiotics, sugar intake and chemical additives, birth control pills, poor quality refined foods such as white bread, drugs and toxic metals. Maintaining optimal gut flora with fermented foods and probiotics especially if taking an antibiotic is a very important step in your health. If you aren’t eating fermented foods, you most likely will need to supplement with a probiotic on a regular basis. However, the most cost effective method (and the more effective method) is to ferment your own foods. This is what I highly recommend. I love teaching people how to ferment their own food. For those who like to have a physical demonstration and someone to show them the ropes, to answer their questions and make them excited rather than timid. One of my favourite parts of doing Kombucha tastings, whether at the local events, the Penticton Farmers Market or workshops, is seeing peoples' reactions to the flavours. Any fermented food is incredible and complex. Let it roll around on your tongue for a bit and really experience the changes before sending it down to do good work in your body. In a culture obsessed with cleanliness through means of pasteurization, sanitary wipes and hand sanitizer, the concept of fermenting your own food seems frightening, foreign and risky. Join the conversation and connect with other local brewers/fermenters in our Okanagan Fermentation Facebook group!